Is she really turning 4 this year? How can this be!? Just the other day she was holding on to my fingertips trying to learn her first steps! Now she is planning out every detail she wants for her Paw Patrol Birthday Party! Every year I let lil’ miss cupcake pick her birthday theme. This year, her favorite is Paw Patrol and let me tell you that I if it has Paw Patrol on it, she has it or wants it! So let’s get this party started! 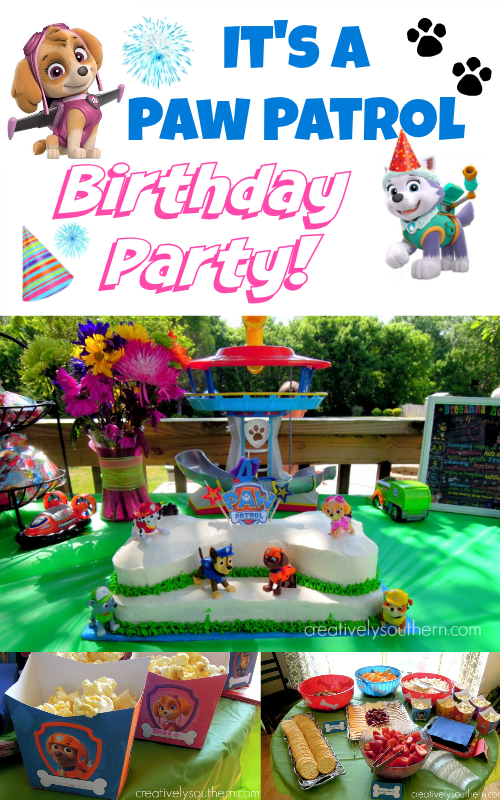 I searched all over the world and brainstormed for ideas on how to make a cake for the Paw Patrol birthday theme. My original plan, as requested by my daughter, was to build her a cake to look just like the Paw Patrol Headquarters. 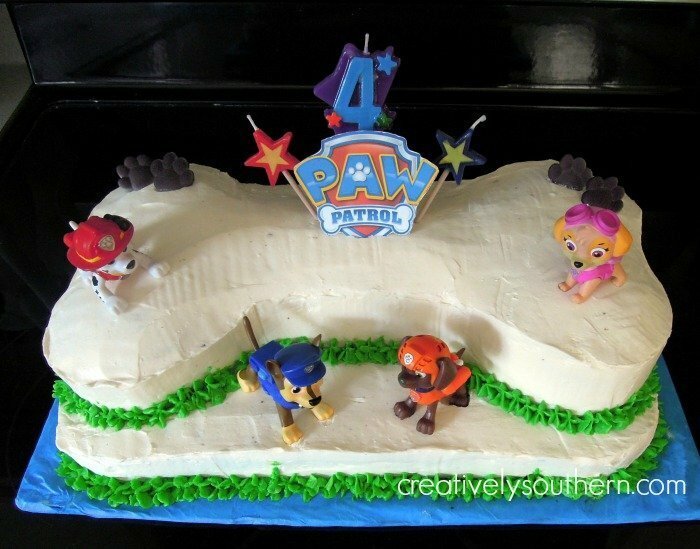 All good intentions aside, I found a bone shaped pan at a local cake supply store here in town and set out to make an easier Paw Patrol themed birthday cake! UPDATE: Some of you have emailed to ask for more details about the cake. So I thought I’d share with everyone! You can find the bone shaped pan here: http://amzn.to/2bmYHsW (and it’s on prime!). I used a 13″ x 9″ sheet pan for the bottom layer. This was actually two cakes in one. I used a regular sheet cake for the bottom and the bone shaped cake on top. I’m not a big fan of fondant icing… not a fan at all actually so I pulled out my favorite buttercream icing recipe and got busy! Now the sweet lady down at the cake shop taught me this awesome tip on getting your buttercream icing super smooth. This was my first attempt with the new technique so overlook any flaws here, umkay? 😉 Ready for the tip? Use a Viva paper towel!! Okay surely I am NOT the last person to hear about this, right? So here I went with a Viva paper towel in my hand and smoothed out the icing best to my novice abilities. I did use a wet knife in some areas just for good measure. All in all, I was pleased with the end result! 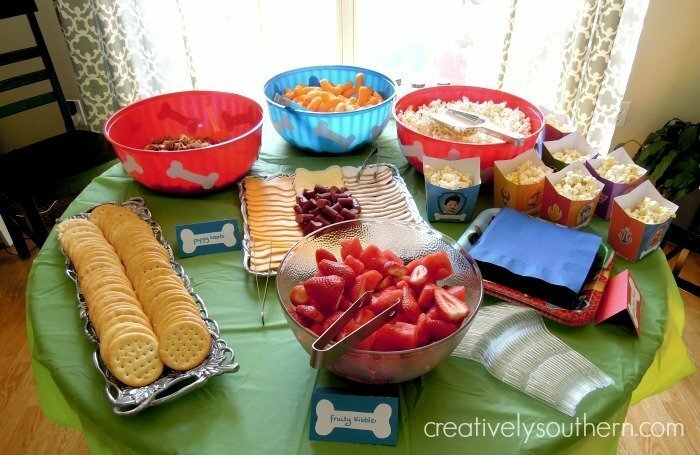 Pupcorn: speaks for itself doesn’t it? 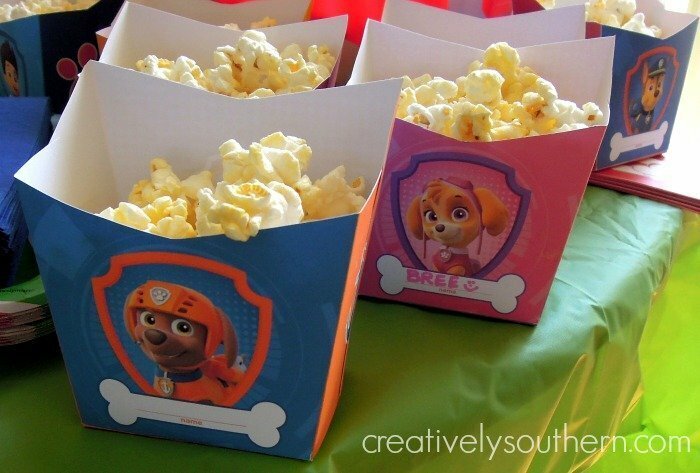 I printed the popcorn holders from nickjr.com along with the party hats I made. To dress up the pupcorn, I picked up some Kernel’s Popcorn Seasonings and put them in some “fancy” shakers to add some fun flavors! 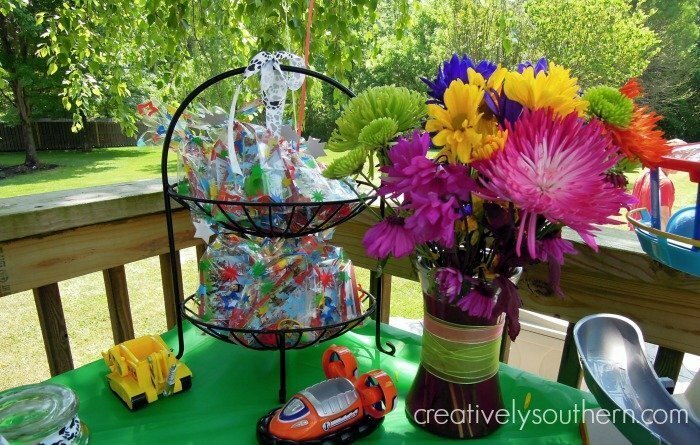 For party favors, I picked up a mix of Paw Patrol’s party favors from the party supply isle in Target and wrapped them in colorful treat bags, tied with some paw print ribbon. Decorations were pretty easy, since my daughter already had several of the Paw Patrol figures and vehicles. Oh and are those Frozen balloons doing there?! Did I mention that my daughter is also a Frozen fanatic? 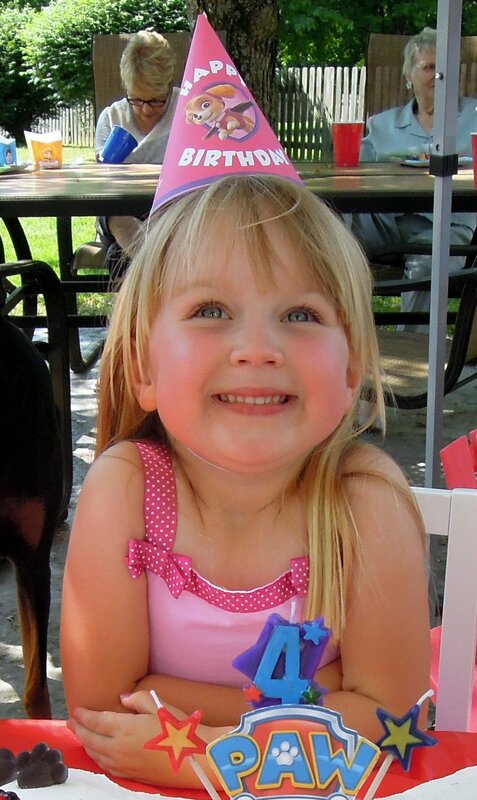 What little girl isn’t these days? 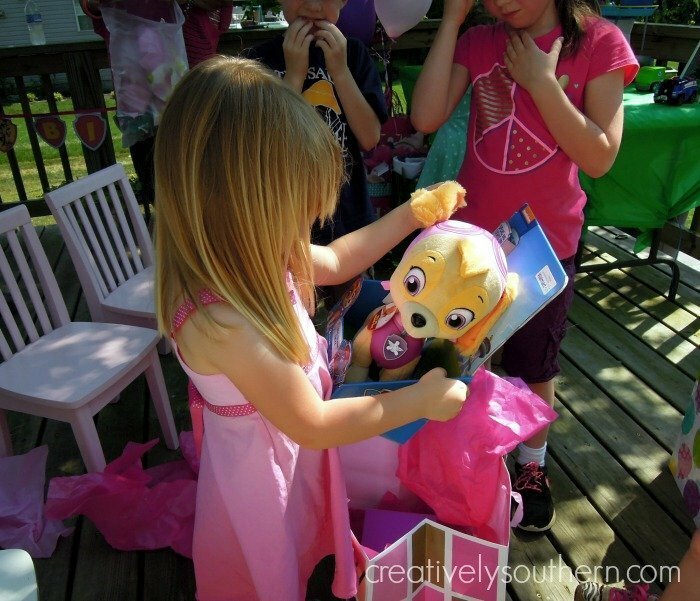 Her request about three days before the party was a Frozen/Paw Patrol birthday party. So welcome to the party Anna and Elsa! If you have seen the Minnie Mouse party she had for her second birthday, then you may remember the little frame I did with all of her favorite things that year. 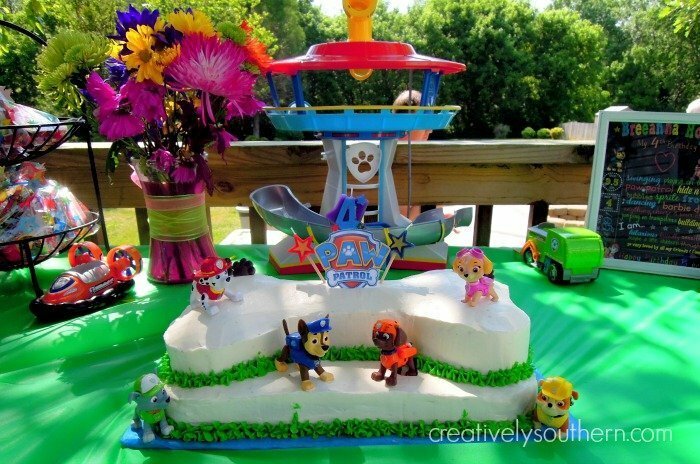 I decided to do that again this year with the Paw Patrol theme. 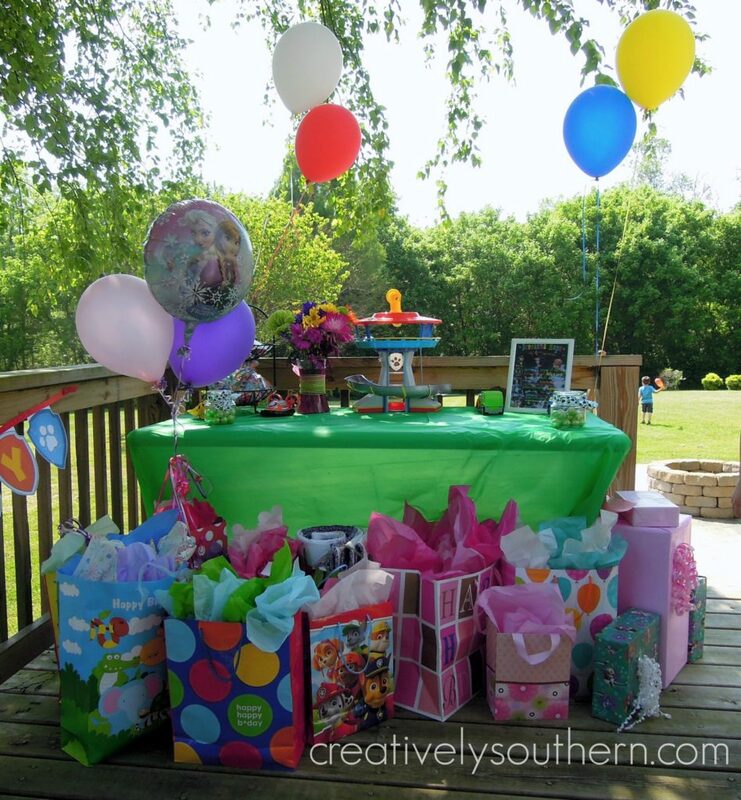 If you are planning a Paw Patrol party for your little angel, Creatively Southern can customize a poster for you! 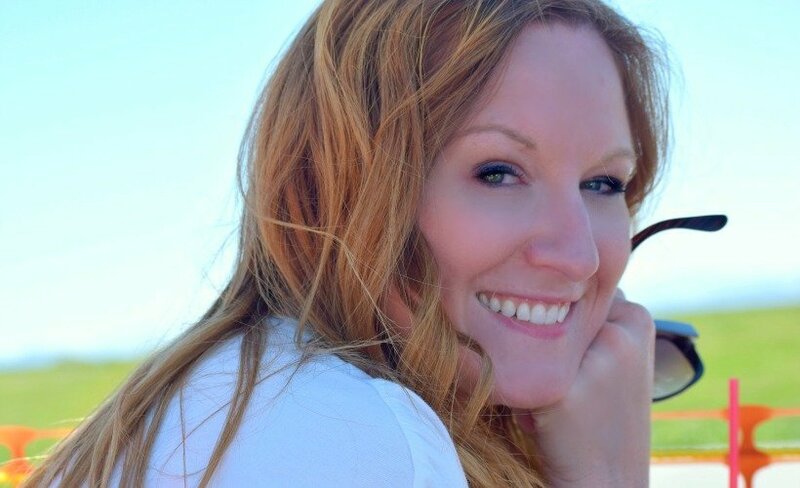 Just email me at ellora@creativelysouthern.com for details! Let us know if we can create something special for ya! 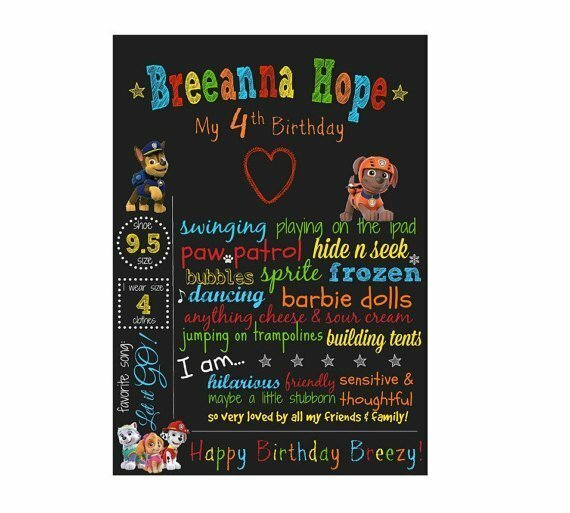 She loved this and it makes a great keepsake! 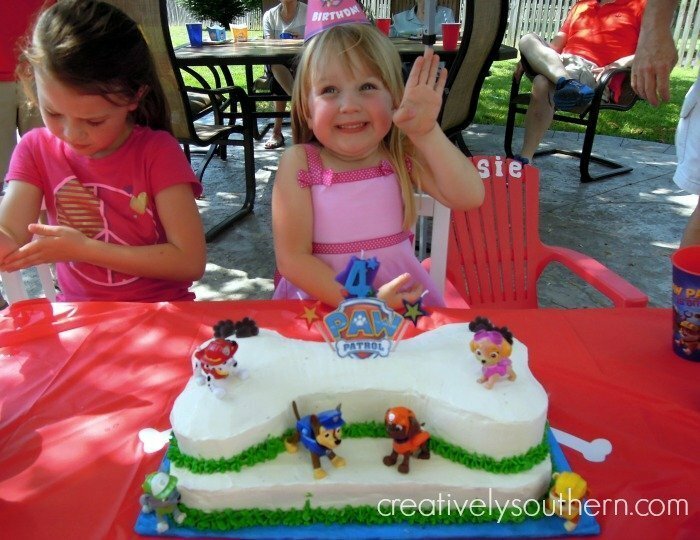 And of course, no Paw Patrol party would be complete without her favorite of all… SKYE! What size sheet pan did you use? Hi Joyce! The sheet pan was a 13×9″ pan and then the dog bone cake pan came from a local bakery supply shop here in town. But this one here: http://amzn.to/2bmYHsW would work great! If you used this one it’s 10″ long so it will be just a tad shorter than your sheet cake underneath. Hope this helps!